Just add servos to your system to add a fully IFR-capable autopilot. 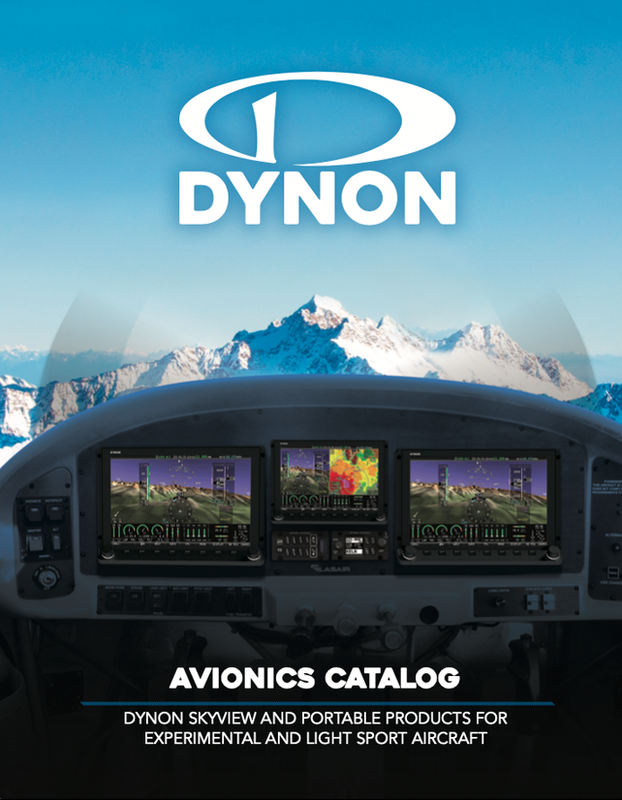 Every Dynon autopilot can fly magnetic heading, GPS ground track, and horizontal NAV from any connected compatible radio or GPS. Now with new extraordinary IFR capabilities, the autopiltot also includes fully-coupled approaches, coupled VNAV, IAS Hold, Mode Sequencing, and Flight Director guidance. Additional standard features include emergency 180-degree turn capability and a new LEVEL button to immediately return the aircraft to straight and level flight. The SkyView Autopilot now also features an alternate set of new simplified controls. This innovation streamlines the controls to the modes you use the most: HSI+ALT for following navigation sources such as GPS flight plans, and TRK+ALT for flying in the directions you choose. And because Dynon’s autopilot is built on its best-selling EFIS systems, it can respect bank angle, airspeed, and G limitations too. 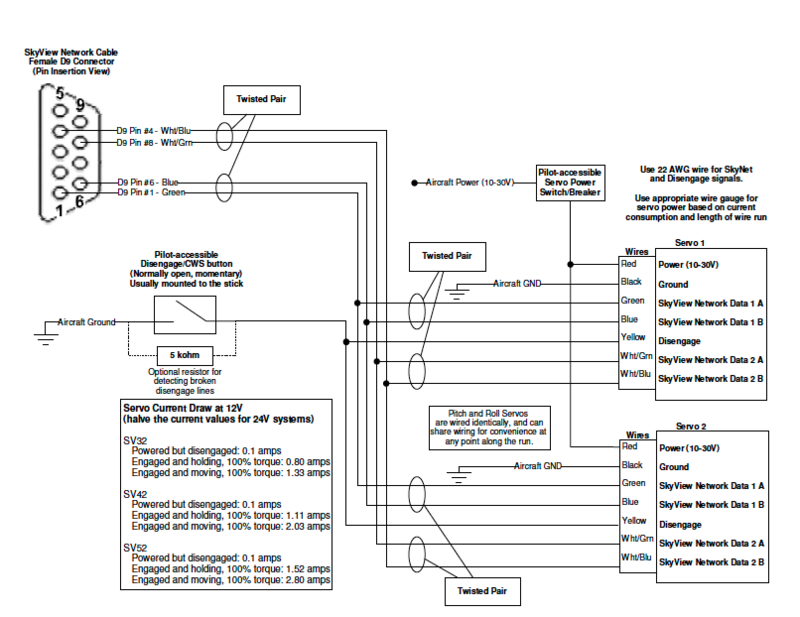 Simplified and Expert Controls are available in SkyView Firmware version 6.0 or higher. Dynon Avionics servos are dimensionally identical to other leading servos for drop-in upgradability. Behind the scenes, though, the SV line of servos are all-new. A lightweight aluminum case houses a stainless steel gear train to optimize weight while not sacrificing strength. The servo control arm is captured by a castellated nut and secured by a cotter pin, just like other critical interfaces in your aircraft. Each servo is managed by its own microprocessor, making the servo an active, smart extension of the autopilot. This simplifies the control-surface-to-servo calibration and prevents the servo from driving itself endlessly like other servos can. 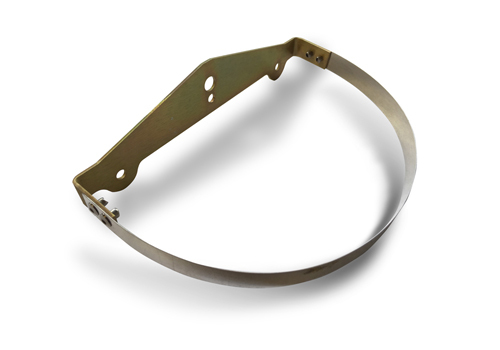 As an ultimate mechanical failsafe, a simple and effective shear pin is employed to let you break the servo free of the aircraft control surface in an emergency. 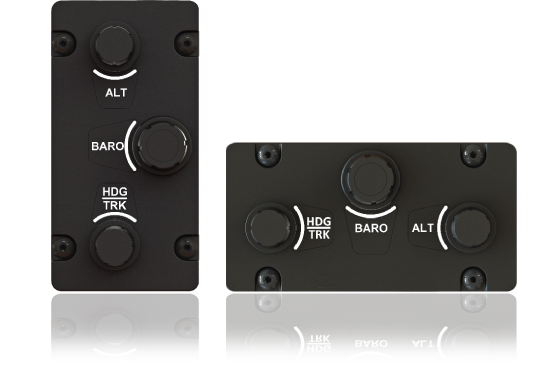 Multiple servo models are available to suit different aircraft control force requirements. The SV32 is rated at 36 in-lb of torque, the SV42 at 55 in-lb, and the SV52 at an astonishing 72 in lb. Servos are also available with capstan drives for use in aircraft with cable-driven controls. Mounting kits for popular aircraft models are being developed on an ongoing basis, with kits for most of Van’s RV series and the Sonex/Waiex currently available. SV-NET-SERVO: This harness helps wire the autopilot servos. It includes 20' of Tefzel wires: two pairs of twisted 22 gauge network wires, one 22 gauge quick disconnect wire, and two 20 gauge wires for power and ground. 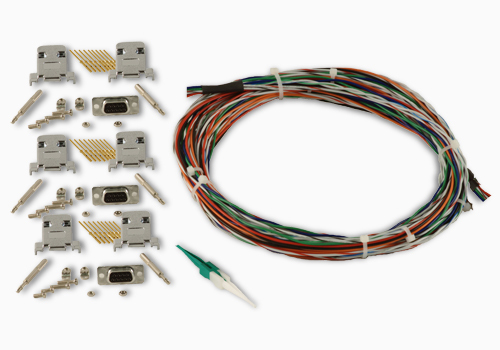 Also included are three D9 connectors (one male, two females), 18 pins, a pin insertion tool, shrink tubing, and tie wraps. One kit is required for each servo. A crimping tool is required (not sold by Dynon) to attach the pins to the wires. Think of it as the only autopilot that comes with a COMPLETE set of primary flight instruments for free! Adding servos to any Dynon SkyView System or D10/D100 Series EFIS turns it into a full-featured dual-axis autopilot at a total cost that is comparable to other autopilot-only solutions. If you are seeking a redundant solution, consider this: our products are priced so well that two EFISs, one of which is a two-axis autopilot, start at just $5900 with servos. Compare that to the cost of outfitting your aircraft with just a single set of flight instruments and an autopilot from anyone else. An EFIS-D10A plus two servos is only $3700. Multiple servos models are available to suit different aircraft control force requirements. The SV32 is rated at 36 in-lb of torque, the SV42 at 55 in-lb, and the SV52 at an astonishing 72 in lb. 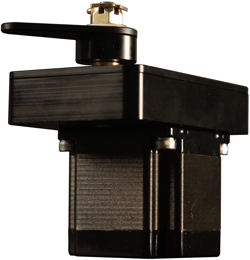 Servos are also available with capstan drives for use in aircraft with cable-driven controls. 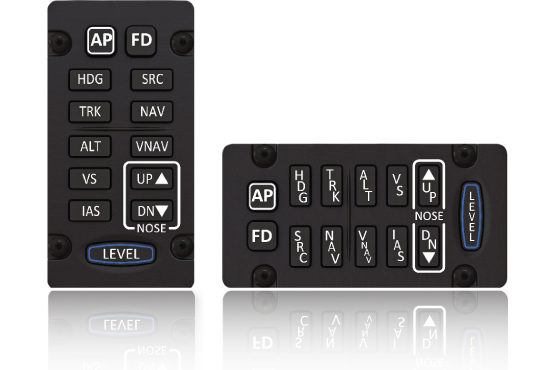 To find out more about Dynon's D10/D100 Series Autopilot Servos and Dedicated AP74, click one of the buttons below.